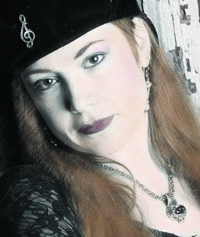 Sabra Callas is a seasoned entertainer with more than 20 years of professional performance experience. She specializes in providing quality music for corporate functions, receptions, upscale venues, festivals, etc. Sabra Callas is an accomplished guitarist with styles ranging from blues to jazz, to folk, to Motown, etc. She is able to work as a soloist, duo, trio, etc. Sabra Callas is a stylist and performs standards that are recognizable from the 50s, 60s, 70s, etc. Perfect for Corporate Functions, Wedding Receptions, Dinners, Private events, etc. or call 704.408.6606 for more information!